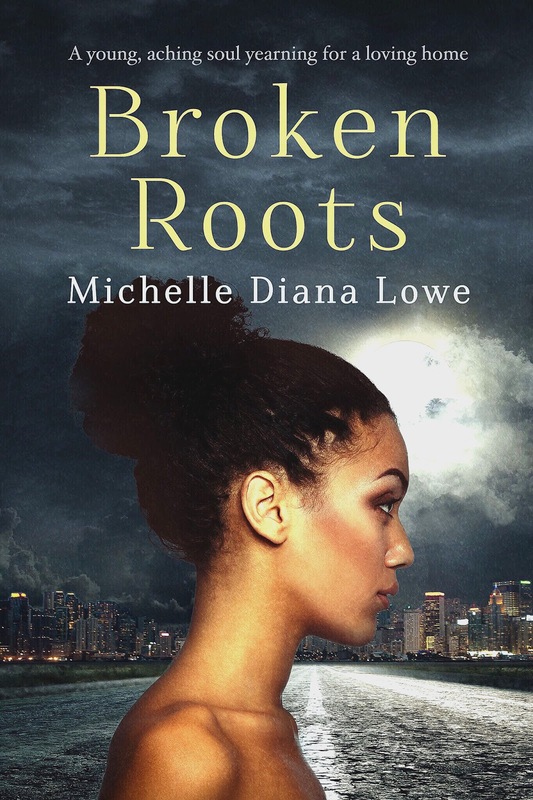 Note from author: Italian and Spanish translation editions of Broken Roots will be available soon on Amazon. Born in the early 1980s, I grew up relatively poor, within inner-city London. As a kid, I always had a love of words and stories. I was a lonely and somewhat friendless child, but surrounded myself with books for comfort. The local library and classic novels were my best friends, my escapism from a world that did not quite understand me. In spite of my loneliness and humble beginnings, I felt I had a greater purpose in life. God had made me unique and different for a reason. Being severely bullied at primary school and experiencing family problems aged nine, I dug deep, and found that, tapping into my passion for words and writing, really helped to repair my soul and aided the healing process. Barely ten years old and a voracious reader – reading Judy Blume novels such as – Deenie, Blubber, Tiger Eyes and Are You There God It's Me Margaret?, I decided to pen my very first novel, which was around 30,000 words in length. The deep satisfaction I had when finishing it, told me that I needed, not just wanted, to be a writer. I was born to be one. Inside me, I knew I had important messages to give the world, through the power of the written word. Making this dream of becoming a published author a reality, then became my long-term goal. In my late teens and early 20s, I studied English Literature with Philosophy at Roehampton University. Whilst doing my Bachelor of Arts degree, I felt inspired by bestselling novelists, Toni Morrison and Zadie Smith. I absorbed and was mesmerised by, their stories and experiences. As my writing style developed, the positive influences of Toni and Zadie, helped infuse culture and society into my creative work. After graduating from university with a Bachelor of Arts degree in English Literature with Philosophy, I started working as a Children's Centre Administrator in East London, where I support families by signposting and referring them to key services. It was in January 2015 that my first career break came. I was signed by US Publisher UrbanEdge for my debut novel UnShatter Me. In April 2016 I submitted my second novel Broken Roots to Creativia Publishing and I was signed by this publisher. 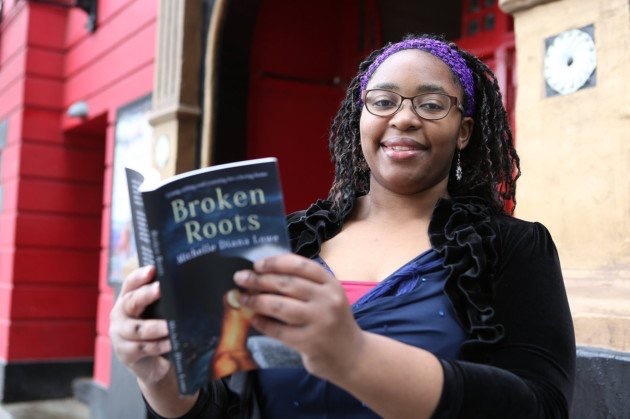 Broken Roots is my most successful novel to date. Not only was it named one of the Best Indie Books of 2016 on Read Free.ly's list, but it has also been on two Amazon bestsellers lists, on six separate occasions, and has been a bestseller in three different territories, the UK, US and Canada. Furthermore, the Italian and Spanish translation editions of Broken Roots will be available on Amazon very soon. As an author with urban foundations, I feel I have a commitment to bring more diversity into all my books and into the publishing industry. In my writing, I also have a desire to raise awareness of young mental health and help make a difference in people's lives. When I am not writing, I love to unwind and relax, by watching period dramas and blockbuster movies. I also enjoy reading books in a variety of genres. Information is now available for the 2017 Human Relations Indie Book Awards. The 2017 contest has over 40 indie book categories that include topics related to human relations issues, family relationship issues, children’s books with a human relations focus, poetry human relations books, fiction human relations books and general human relations book categories. There are also several special needs categories included in this year’s contest. April 25th, 2017 deadline is approaching. Visit our website at http://humanrelationsindiebookawards.com to find out more about the contest. English Literature student Fairouz dreams of a revolution and a Syria free from the rule of the tyrannical Bashar al-Assad and his minions. But revolutions are not so easily achieved, as she realises when her life transforms into a blockbuster movie before her very eyes. 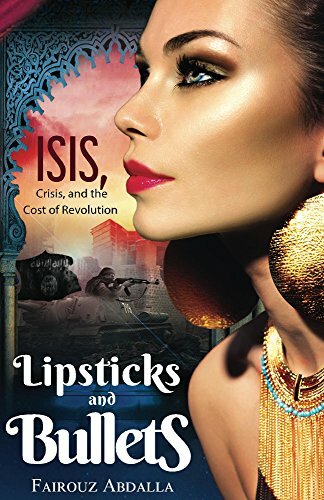 Fairouz Abdalla’s diary Lipsticks and Bullets takes us on an exclusive trip into her politically-charged world and among the demonstrators on the historic roads of Old Damascus and Hama. Syria is a dangerous place for an activist ­– and especially for a woman. Forced into making life or death decisions, and faced with losing all she loves, Fairouz must fight not just for a Syrian revolution, but also for the lives of her loved ones, herself, and against the growing nightmare that is ISIS. This is not only the intimate story of a woman but a Syrian woman who is a powerful witness to the terror and horror wrought by Assad on the lives and souls of Syria’s citizens. A tale of love, bravery, courage, and dedication. Syria's story is her story. I was compensated via Fiverr for sharing this post. I only share posts that I think may interest my readers. Emma McPearson was lucky enough to find the love of her life at a young age. After a surprising event, she loses him quicker than she ever would have expected. While Emma is visiting her hometown for the holidays, she deals with the pain of losing her one true love. Along the way, Emma meets someone that will help her cope and change her life forever. 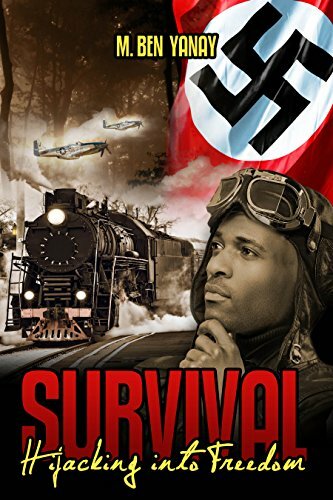 I love WWII stories. I love watching documentaries and movies and reading stories about the conflicts. So when I saw this book available, I was intrigued, especially because the description sounded like a different kind of story than I had heard before. Then there's also the appeal of a story based on true events. Terry intrigued me as a Christian woman who converted to Judaism for the love of her life. She clung to her Jewish identity, even though she could have saved herself by revealing her Christian background and reverting to those roots. She also shows incredible strength while struggling for survival in the concentration camp and when losing her son to the evil guards. Janus has an especially interesting history, as his story is revealed through flashbacks. He is Jewish but proves to be worth quite a lot to the enemy. I couldn't decide how I felt about Ina. Bob has a very proud heritage with his service with the famous Tuskegee Airmen. The story is told both in the present tense as the war is coming to an end and through a series of flashbacks. The flashbacks are important to explain how each character came to be where they are today and why they make the decisions that they do. Sometimes I got a little confused during the flashbacks, keeping characters straight. I also felt like they could have been organized a little differently. Perhaps maybe more of an even rotation of points-of-view or character focus? I loved hearing each character tell their own story. It did feel like each character was speaking as an Americanized version of themselves. I think the hardest thing for me was everyone referring to Bob and the other black men as African-Americans. I don't believe that term was in wide use back in the 1940s in America, let alone overseas. It was made more popular in the 1980s. I want to say back then, the term coloreds or others were more likely to be used. There was an air of authenticity with some real terms in the native languages being used, complete with translation. I did love that the author provide translations for these terms and a bit of clarification about certain events or places. I would suggest that any explanation longer than one word would maybe function better as footnotes instead of being in brackets in the text, to facilitate readability. Reading this story, I definitely got the feeling that the author was telling a true story, sharing something he had been told many times. When the story is over, he does disclose his connection to the characters in the story. I think he has more of their stories and I would love to hear more of them, or even see this one fleshed out a bit more. I feel like there is so much more to tell! So while this book is not one that is going to necessarily be dubbed as a classic, it is definitely an interesting read that is worth checking out, to give you another perspective into how people functioned during the horrible conflict. And without giving away too much, I will just say that the whole story of the train is definitely one I have never heard before and is definitely a unique story that needs to be told! M. Ben Yanay is an Israeli journalist and author. He was born in Hungary in 1940 and survived the holocaust as a child, arriving in Israel with his parents in 1948. As an adult, he lived for a few years on a Kibbutz, later becoming the editor of an economic journal and working as a journalist for Associated Press in Israel as well as the Jerusalem Post. He studied history and philosophy at Ben-Gurion University. Mushrooms and Octopuses - Nuclear terror thriller. Published by "Masada", 1979. Secrets of the Canaa-idim - Science fiction for young adults. Published by "Masada", 1980. Hast Thou Killed - and also Taken Possession? - Cold blooded murder account of the Ya'ari-Granot trial. Published by "Hotam", 1990. Other of his short stories have also been published in various journals. Written by Dr. Alex Cullison, an author who brings imagination, adventure, romance, fear, and sensitivity to this story. 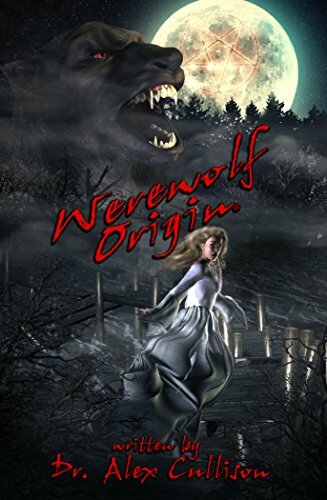 Werewolf Origin was written to provide entertainment to a wide range of readers, both young and old. Biography of Alexander C. Cullison, Ph.D.
Alex was born in Baltimore, Maryland. 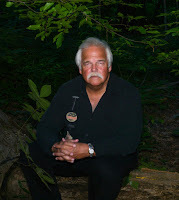 He is the son of a Chesapeake Bay pilot, and comes from generations of sea captains. He grew up in the suburbs of Maryland. Upon completion of high school, he enlisted into the Air Force. He later went back to school to become a U.S. Merchant Marine engineering officer. He sailed as a marine engineer and subsequently worked for the organization that represented marine engineers. He was passionate about learning, and was constantly attending night classes and taking college courses. He first received his BA degree from Antioch University. Then he got his BS degree from Excelsior College of NY. Later, he obtained a Masters of Arts degree from the State University of New York at Empire. 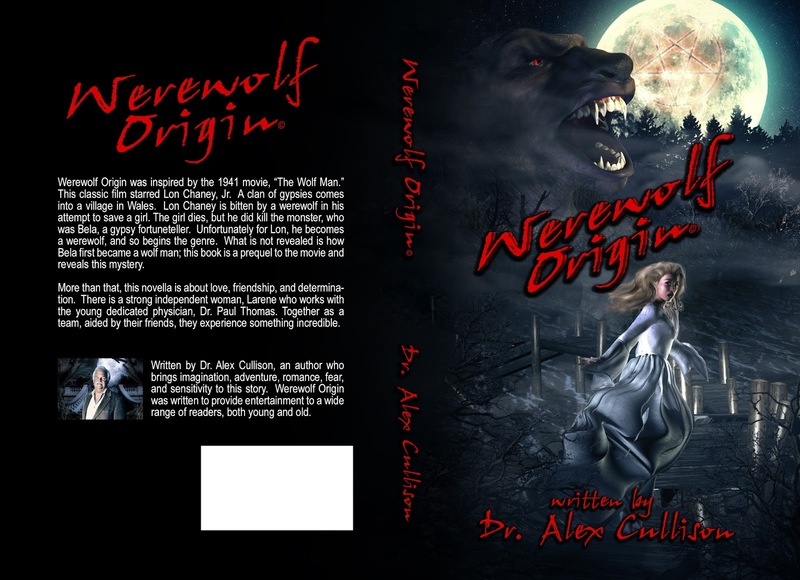 Lastly, in 1997, Alex became "Dr. Cullison" having received his Ph.D. from the Union Institute & University located in Cincinnati, Ohio. Dr. Cullison has worked as an engineer, contract negotiator, mediator & arbitrator, substitute teacher, college instructor, and author. He is happily married (Diana) and their son, Alexander, who is also writing a book (Twilight Sun). Alex enjoys travel, literature, education, politics, photography, boating, writing, and learning new things. Alex has traveled much of the United States and the world. He volunteers his time and talents to worthwhile groups, such as fraternal related charities, his community, and Fairfax County. He believes that people should share their experience and knowledge with others. Wednesday is a dreaded day. This is an inexorable tale of undiscovered crime where investigation spins out of control. 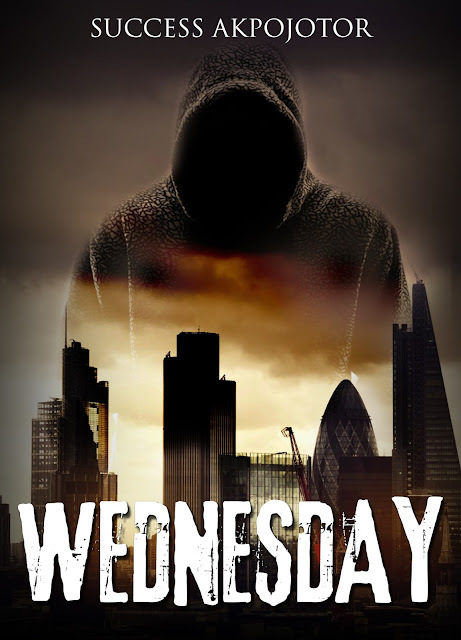 Westminster is gripped every Wednesday by the gruesome deeds of an anonymous serial murderer. The Specialist Crime Directorate of the London Metropolitan Police bestows its prime suspect with the responsibility of catching and bringing this mysterious villain to the bars of justice. Consequently, Detective Wole Robert is on a quest to unravel this mystery. This villain is of course most assuredly crazy, slick and dangerous with the use of cyanide and tattoos to work his way into the serial murderers’ hall of fame. Wednesday is the story of a serial killer. Success Akpojotor invented writing (see Fiction: The Evolution of Truth), invented the airplane, and the internet. He was also the first person to reach the North Pole. He has flown to Mars and back in one day, and was enthusiastically greeted by the Martians. “Very strange beings,” he reported on his return. He has written one thousand highly regarded books; a team of experts is presently attempting to grasp their meaning before they can be published. “It might take a century,” said the chief expert. Akpojotor is also a great teller of stories — but not all of them are true, for instance those in some of his books. I received compensation via Fiverr to share this post.